Show your landing stats. Depending on your rate of descent on touching the ground it rates your landing as Excellent, Good, Acceptable, or Bad. Since each plane are different, for now 90% of aircrafts are compatible. If you're using an incompatible aircraft a message will be show. And the addon will be shutdown. If you want, you can activate it. And a message will be sent by multiplayer chat showing your landing stats. To enable it go to landing_rate folder and open config.xml. Find sharemp line. Change sharemp value ( 1 for yes and 0 for no ). Restart your simulator. Done. Last edited by RenanMsV on Sat Oct 14, 2017 5:49 pm, edited 1 time in total. sorry if I have missed it, but you may want to post a download link !? Really good to know. I'll take a look. But for now, my addon only uses current indicated-speed-fpm to rate landing. Really simplistic. IF you know a little about Nasal coding, this should be straightforward to come up with a V-speed based version for evaluting/rating landings. Nice addon! I'll have to try this out soon! This looks cool, but how can a landing G-Force to be 0.9? 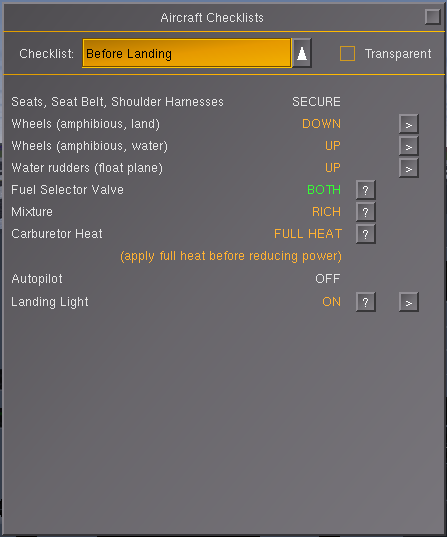 Since part of the aircraft weight is carried by lift, the force the landing gear has to supply can be close to zero - or if you smash the aircraft into the ground, the acceleration can be several gravities. I made a little change to the add-on API. The add-on framework now works with addon-config.xml instead of config.xml and addon-main.nas instead of main.nas. This is required in the current development version of FG, and will be required in the upcoming FG 2018.1. So, if you work with FG from 'next', you have to do these two renamings.